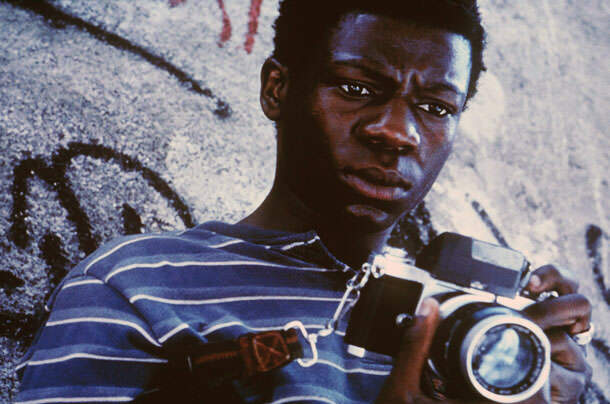 The City of God is an autobiographical tale about crime and growing up in the poor suburb of Rio de Janeiro. Narrated by Rocket (Alexandre Rodrigues) from the 1960s through the 1980s in the impoverished and crime-ridden neighborhood he grew up in. It started with three older boys doing simple stick-ups and then a young kid, maybe around eight, named Li’l Dice (Douglas Silva) gets his start as a hoodlum and his eventual rise to power as one of two of the neighborhood’s most powerful drug lords, changing his moniker to Li’l Zé (Leandro Firmino). Somehow Rocket is able to avoid a life of time and pursue photography and tells the interweaving tale of the City of God. Few movies impress me on both a technical level and also move me emotionally and City of God had me glued to the screen despite some of the horrific imagery. City of God is one of the most unflinchingly violent movies I’ve ever seen and yet very little blood is actually spilled onscreen. The brutality is clear and the story is all the more engrossing because of it. It’s shocking to me that people actually live in a place like Rio de Janeiro and know nothing but poverty and crime. I suppose that isn’t limited just to Rio de Janiero, but for a city that has the potential to be simply breathtakingly beautiful to be so ugly is fascinating. City of God seems so visceral that it’s easy to forget you are watching a film and not a documentary, not unlike Battle of Algiers or Gomorrah. While the events in City of God are fictionalized to a point, the main players are real, you can look them up. I didn’t know this before watching City of God and it’s pretty amazing that Rocket (well, actually Paulo Lins, who wrote the novel City of God) even survived. I actually thought it may end up being a simple coming-of-age story until the story takes a dark turn. City of God is a movie that I knew needed to be watched but I don’t think the praise I’ve heard has done the film justice. I was expecting a really great movie and somehow even my lofty expectations were not high enough. City of God is stunning and awe-inspiring but also almost too much to take in. While I loved it, it’s maybe even one of the best films I watched all year, it’s a film that I’m not sure I could watch very often. It’s not exactly depressing, but it’s close to it. If you are like me and know that you need to see City of God but haven’t yet, I implore you to do it as soon as you get a chance. If you’ve never heard of City of God before now, please take my word for it and go watch it. If more movies like City of God came out around the world, I don’t think Hollywood would be the force it is today. I give it 5 Rocket’s camera out of 5. The crew of a ship returning to Earth investigates a strange signal from a small planet and discovers the horrors of Alien. The Nostromo is traveling back to Earth from a mining expedition with a crew of seven but picks up a strange signal from a planetoid LV426 and are forced to investigate. Captain Dallas (Tom Skerritt), Kane (John Hurt), and Lambert (Veronica Cartwright) set out to investigate the signal where Kane encounters a strange egg that opens up and a creature attaches itself to his face. Brought back on-board the Nostromo, the creature eventually pops out of his chest and the rest of the crew has to find it. Along with the rest of the crew, Ripley (Sigourney Weaver), Ash (Ian Holm), Brett (Harry Dean Stanton), and Parker (Yaphet Kotto), they are trapped with the alien creature on board when they discover that Ash is actually an android and the discovery of LV426 was actually a secret directive from their employer. In this post-Prometheus world we live in, I imagine people will either strongly side with Alien or welcome the “prequel” with open arms. Watching Alien again after several years actually made me appreciate Prometheus a bit more from a broad view. On its own, however, Alien is still a terrifying and claustrophobic film that has aged incredibly well and manages to maintain its status as one of the best sci-fi/horror movies ever made. Also, having watched the director’s cut of the film from the blu-ray anthology set, I didn’t notice any real differences in the film. Much has been made of Ripley as a strong female lead for a film but in Alien, much of her survival is based on being at the right place at the right time. If she had gone out onto the planet, she might have ended up like Kane. She could have been killed by Ash, but Parker is there to help. If she had gone with Parker and Lambert in search of the alien, she might have been killed. There are obviously situations in which she is smart and strong, but in 1979, Ripley was not much better equipped for a situation like this than anyone else on-board the Nostromo. I’m not a big fan of defining genres of films and Alien is a shining example why. Is it sci-fi or is it horror? Frankly, it’s both but I would argue that it’s more horror. The setup of Alien is not very different from a film like Texas Chainsaw Massacre where a group of people stumble on a bad situation and have to survive. The only difference here is the location is space, hence the sci-fi connection. Other films in the series take a different path, to varying results, but Alien proves to be a favorite among many fans of the franchise – and with good reason. Personally, I prefer the more action-oriented sequel, Aliens, but Alien is a film that utterly chills me every time I watch it. I know the twists, I know the parts that make me jump, but they still have a profound effect on me even after multiple viewings. I’ll change what I said at the beginning of the this review; Alien is definitely one of the greatest horror films ever made. I give it 5 chestbursters out of 5. The original King Kong is one of my favorite movies ever. It literally has everything you could possibly want out of a movie. For a movie that is nearly 80 years old it has held up incredibly well and the Blu-Ray treatment is superb. When Peter Jackson remade King Kong a few years back I was very excited. When the movie released I was kind of let down. While Jackson’s take modernizes the effects and fleshes out some of the characters and story, for me most of the magic was lost. Watching the 1933 iteration is guaranteed to put a smile on my face and keep me on the edge of my seat, even after a dozen or so viewings. 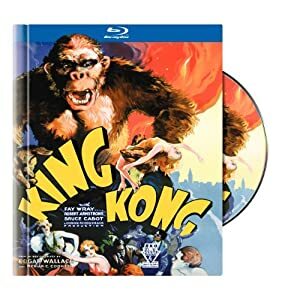 I won’t bother with the details of the movie because if you haven’t seen some sort of version of King Kong you have likely been under a rock for 80 years. However, if you’ve only seen the 2005 version or, god help us, the 1976 version, then please consider watching the original. I realize some people have a hard time watching old movies, or even black and white movies. I can understand that sometimes, but I firmly believe King Kong is an exception. It still delivers thrills and wonder, even by today’s CGI-laden standards. [Update 12/27/12] I got around to watching King Kong again on and thought I would repost one of my very first reviews from the first week I started the site. Enjoy! I give it 5 screaming Fay Wrays out of 5. A wealthy, emotionally distant investment banker receives a strange gift from his brother for his 48th birthday – a life-changing invitation to The Game. Haunted by flashbacks from his father’s 48th birthday, which ended in the man committing suicide by jumping off the roof, Nicholas Van Orton (Michael Douglas), a hugely wealthy investment banker, is nearing his own 48th birthday. Estranged from his ex-wife, Nicholas is emotionally cold to everyone around him, seeming to only care about the bottom line on his investments. One day, his carefree younger brother, Conrad (Sean Penn), visits Nicholas and gives him a certificate to a company called Consumer Recreation Services (CRS) to participate in “the game”, saying it will change his life. Doubtful, but curious, Nicholas goes to CRS and gets rejected from participating, but the game has really already begun, leaving Nicholas guessing what the game is really about. Simply put, David Fincher is one of my favorite directors but for some reason The Game has eluded me. Now I’m not sure why I never sought out The Game, I’ve seen all of Fincher’s other work, but I’m so glad The Game has entered my life. I don’t tend to watch thrillers often because it’s like eating a rich dessert and I never want to grow tired of the good films. When a thriller is made well, it’s hard to top and The Game literally kept me guessing until the very end. The mystery and tension surrounding “the game” is so thick it practically oozes from the screen. I have a feeling that there will be strong feelings about The Game’s ending and whether it’s satisfactory. At the time I watched the film, I was a bit deflated by it because I kept thinking “how is this going to end? !” but after having some time to think about the movie as a whole, I think the ending is pretty great, if not a bit too abrupt. This may be a case where the journey is the important thing, not the destination, but I liked the whole of The Game. Criterion’s treatment of The Game is nothing short of stunning. Fincher had his hands in the production of this release and it shows. The film is dark and crisp and the soundtrack is amazing. Supplemental features are great too, with some excellent behind-the-scenes footage. This is definitely the version of The Game to see, especially when compared to the much lesser Netflix Instant source. Fincher is known for his dark, moody, psychological movies ever since bringing us Seven and The Game, his follow-up to Seven, shows us what a talented director he is. The Game is the type of film that is so exhilarating to watch that you simply can’t take your eyes off the screen, trying to figure out what the game really is. I’m sure that finding out all the secrets the film holds is impossible on a first watch. While The Game may not be Fincher’s strongest film, it’s one of the better psychological thrillers I’ve ever seen. I give it 5 Consumer Recreation Services out of 5. Immediately following the events of the first film, Beneath the Planet of the Apes literally goes deeper into the mystery of the planet of the apes after a new ship crashes. 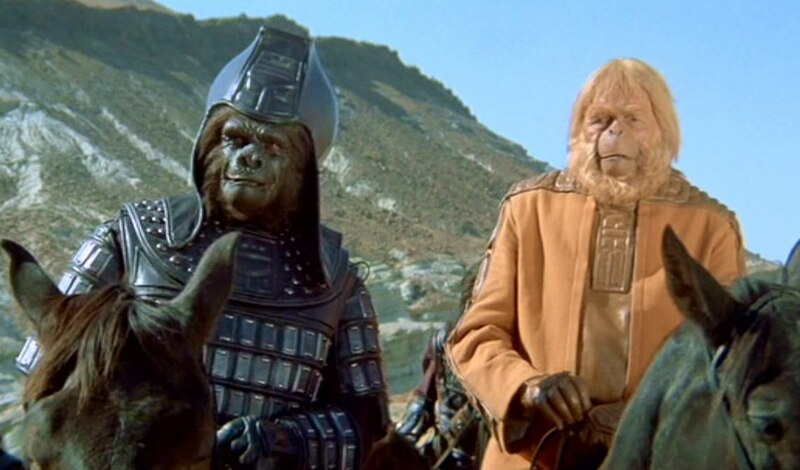 Picking up at the end of Planet of the Apes with the displaced astronuat, Taylor (Charlton Heston), and mute native, Nova (Linda Harrison), travel through the Forbidden Zone. Strange lightning causes Taylor to investigate and disappear before Nova’s eyes. Another spaceship crash lands nearby with a group of astronauts looking for Taylor. Brent (James Franciscus), thinks he has traveled to a distant planet and stumbles upon Nova, wearing Taylor’s dog tags. The two ride together to Ape City where Brent is startled by the simian population. He is befriended by Cornelius (David Watson) and Zira (Kim Hunter) who helps him escape capture by the gorillas. Brent then goes below ground, following a strange sound, and finds a group of telepathic humans living underground. I’ve always enjoyed the original Planet of the Apes and I’m one of the few people that didn’t hate Tim Burton’s remake but I’ve never actually seen any of the other movies in the original series of films. Beneath the Planet of the Apes was not a great movie but I did have a great time watching it. I’ve always liked the special effects used for the ape costumes and even though the apes aren’t the focus in Beneath the Planet of the Apes, at least they didn’t cheapen out. The filmmakers even brought back the original cast when applicable, something that makes this feel like an actual sequel instead of a quick cash-in. It’s kind of funny that I’ve seen so many Beneath the Planet of the Apes references but never understood them. In fact, I knew about 90% of the plot of the film just from pop culture references over the years; though, to be fair, it’s not exactly a complicated plot. 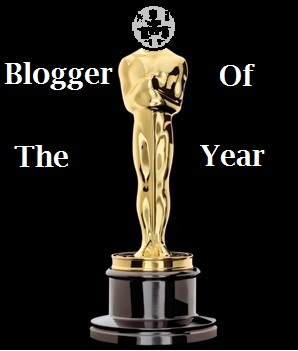 Without spoiling anything, I will say the ending took me off guard – that was a pretty gutsy move. I purchased the series box-set, so I’m eager to get to the next films, even if they don’t appear to have the same level of love from fans. I wasn’t blown away by Rise of the Planet of the Apes but I’m glad they are making a new series of films in the franchise. We’ll see what the next three movies have in store for the series, but Beneath the Planet of the Apes is a worthwhile affair that falls short of the original, but is still a worthwhile sequel. Beneath the Planet of the Apes gets the job done, continuing the ending of a great movie with a new, interesting twist on the Planet of the Apes franchise. I give it 3 General Ursus and Dr. Zaius riding horses out of 5. During his second year, Harry Potter must discover what is really happening to students through a revelation from the past in Harry Potter and the Chamber of Secrets. After borrowing their father’s flying car, Ron Weasley (Rupert Grint) and his twin brothers, Fred and George (James and Oliver Phelps) rescue Harry Potter (Daniel Radcliffe) from his aunt and uncle’s house. They gather their school supplies for the year with the rest of the Weasley family, including Ron’s younger sister, Ginny (Bonnie Wright), and Hermione (Emma Watson), but Ron and Harry miss their train to Hogwarts and decide to take the flying car out again where they wind up crashing in the nearby Forbidden Forest. After being punished for their stunt, Harry begins to hear a menacing disembodied voice seemingly coming from the walls of the school. He soon finds a message, seemingly written in blood, that the Chamber of Secrets has been opened and nearby, the caretaker’s cat is hanging, petrified. Soon, students begin getting petrified and Harry needs to find out what the Chamber of Secrets really is. While Harry Potter and the Chamber of Secrets is miles better than the first movie, Harry Potter and the Philosopher’s/Sorcerer’s Stone, director Chris Columbus seems almost too focused on pulling in every detail from the books. While it seems strange that I would consider this a negative point, the pacing of the novels lends to suspense, but doesn’t translate to movies very well. Not that Harry Potter and the Chamber of Secrets is overly long or uninteresting, but it (along with the first film) almost seem to hung up on ALL the details instead of streamlining and focusing on what’s important. While I don’t think the first film has held up very well, as evident in my review, but Harry Potter and the Chamber of Secrets is the film that gets the series on the right track. At the time of making Harry Potter and the Chamber of Secrets, it was clear that Warner Brothers had a major hit franchise on its hands and where the first film felt hobbled financially, Chamber of Secrets is a visual treat. The special effects are all quite well done and the film feels like it had a budget that was inline with what was needed to tell the story properly. For most movies, special effects should not be a priority, but in a film with magic and wizards and what-have-you, it sells the reality of the story as best it can. While Harry Potter and Chamber of Secrets is still one of my lesser enjoyed entries of the Harry Potter franchise (book and film), it is a much better film than the first outing. Not only does Chris Columbus seem confident behind the camera, but everyone in front of the camera does as well. The young actors seem comfortable in their roles here and the picture as a whole is all the better for it. It’s hard to recommend any individual film from a series like this, so start at the beginning, but stick with it through this movie to see if you like the Harry Potter films; don’t judge the series by the first film alone, give Harry Potter and the Chamber of Secrets the shot it deserves. 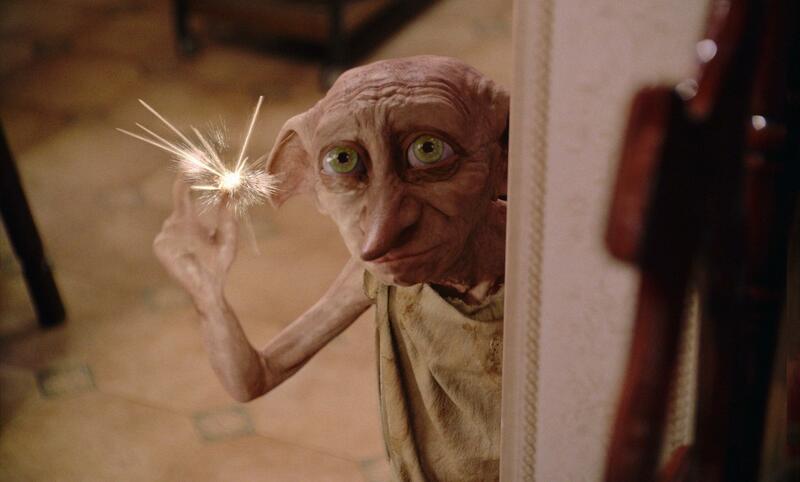 I give it 4 Dobby the house elf out of 5. While investigating a remote area of the Amazon, a team of geologists stumble upon the Creature From the Black Lagoon. While looking at fossils around the Amazon, the fossilized hand of a missing link between land and sea creatures is found. Doctors Carl Maia (Antonio Moreno) and David Reed (Richard Carlson), and Mark Williams (Richard Denning) decide to travel back to the area to search for more fossilized skeletal remains along with Reed’s girlfiend, Kay Lawrence (Julie Adams) and another scientist named Edwin Thompson (Whit Bissell). After returning to the site and finding the research team has been killed, the group comes upon the eponymous Creature AKA the Gill Man. Universal horror films are the watermark (pun intended) for the genre and by 1954, Creature From the Black Lagoon was not only horror but branching into the increasingly popular science fiction genre. The result could easily have been sloppy or silly but it’s actually quite intense. Out of the entire Universal stable, I’ve always had a strong fondness for the Gill Man. The effects used in the costume are still pretty damn good and he is still a unique monster today. What makes Creature From the Black Lagoon perhaps most impressive to me is that it was originally released in 3D using polarized lenses (essentially the same technology used now) but also largely shot underwater. The Gill Man is obviously a man in a suit but he is supposed to be the missing link, he is humanoid but still totally unearthly and menacing. Actually, there were two Gill Man suits, one for underwater and one for land, each with a different actor inside. It’s not something easily spotted in the movie but there are some slight differences between the costumes and the two actors were very different heights. I watched Creature From the Black Lagoon as part of the Universal Classic Monsters blu-ray set and it does not disappoint. Not only is it presented in 3D (and also 2D) but the special features are incredibly interesting. The soundtrack is lossless and helps create a huge amount of tension and the picture is, of course, amazing. Even if you’ve seen Creature From the Black Lagoon a dozen times before, I would definitely recommend the blu-ray as the way to watch it. While Creature From the Black Lagoon obviously takes a backseat to Dracula and Frankenstein, I would argue that the film should be held with the same esteem as those that came before it. The story is simple almost to a fault and there are certainly parts that could be laughed at now, but Gill Man poses a threat that Dracula and Frankenstein’s Monster simply don’t, at least for me. Creature From the Black Lagoon may not be technically one of the best movies ever made but it’s still one of my favorite monster movies. I give it 4 stop-motion fan clips out of 5.